Between difficult situations, an eerily false calm may be present. Even still the tension can be felt. 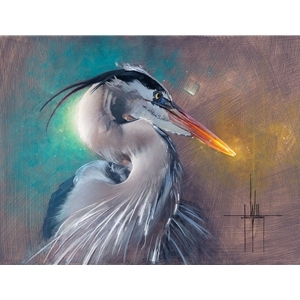 The coiled neck of the heron creates the eye which is caught between the complementary colors that express the difficult decisions and dualities we are faced with during. Regardless, remain poised and ready to take action like the heron. We can be the storm and not the victim.